When you purchase a toy for your child, a new automobile, or some power tools, you rely on the manufacturer to ensure your basic safety. You expect the airbags of your vehicle to work, and the tools to operate as they should. Most of the time, all does work well, but when it doesn’t, and people are injured because of manufacturing error, product liability law provides a right to compensation for victims. If you or a family member has suffered injury because of the negligence of a product manufacturer or other related party, you need the counsel of an experienced attorney. Chris Olsen has years of experience as a personal injury attorney, and is committed to fighting for the rights of victims of corporate greed and negligence. To review your case with Chris Olsen and explore the possibility of filing a product liability lawsuit, contact our San Diego office today. A good product liability attorney will investigate any and all parties involved in taking the defective product from manufacture to distribution. 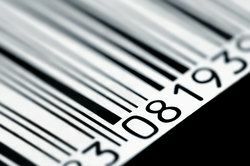 The law states that the retailer, suppliers, wholesalers, and distributors can be liable in addition to the manufacturer. Depending on your case, the defendants may also include consultants, contractors, quality control engineers, designers, and anyone else whose potential negligence may have caused injury or even wrongful death. Compensation awarded in product liability cases depends upon the amount of damages or losses you and your family have experienced. Medical bills, lost wages and loss of future earnings are typically compensated, and there may be an award for pain and suffering. Financial compensation is greater in the case of a death in the family or catastrophic injury. If negligence on the part of the manufacturer or other relevant parties is particularly egregious, punitive damages may be awarded as well. Many product liability defendants are large multi-national companies, so it’s important to retain an experienced, aggressive attorney like Chris Olsen. Chris Olsen has successfully litigated many complex cases, including several class action lawsuits, and has secured millions in settlements and jury awards for his clients. He is a skilled negotiator and an aggressive, organized trial attorney. Contact the office of Chris Olsen today for your personal consultation.